Google recently announced, It’s next-generation gaming platform. It’s been in secret development for several years and promises to change the landscape of both videogames content and hardware. Don’t get me wrong, cloud hosted games streaming has been tried before. In our very own Singapore, the telecommunications behemoth SingTel launched its cloud-based video game service called ‘ESC’ all the way back in 2011. That service priced at a modest SGD 9.99 monthly was available to anybody with a broadband connection of over 10 MBPS. It featured games from established publishers like Atari, Capcom, Disney and THQ. With beloved titles such as Street Fighter IV, Back to the Future and Toy Story 3 in the launch library. If you search for gaming [or GPU] as a service (GaaS) you’ll find over 30 or more platforms that have operated in the past or service some proprietary niche today. If you are a really geeky, like me, you may even know that Ubitus, the largest GPU cloud provider in Japan, partnered with Microsoft Azure very recently in the December 2018. At this point you may ask; “What makes Google’s announcement so special?” Especially since it follows SingTel’s launch by almost a decade. For beginners, Google service launches with over 10 Tflops of graphics performance. The service is hosted on Google’s high bandwidth, low latency global network. It has features such as the Style Transfer ML and Stream Connect, that utilise real-time machine learning. It’s not just a consumer facing service but rather a very modern development pipeline. Not excited yet? What if I told you that Stadia is open source? The fact that it is open source means innovation and collaboration that draws on a pool of talent and know how that is far beyond any single company could muster. For serious games and the fledgling VR and MR industries this holds a tremendous amount of potential and promise. 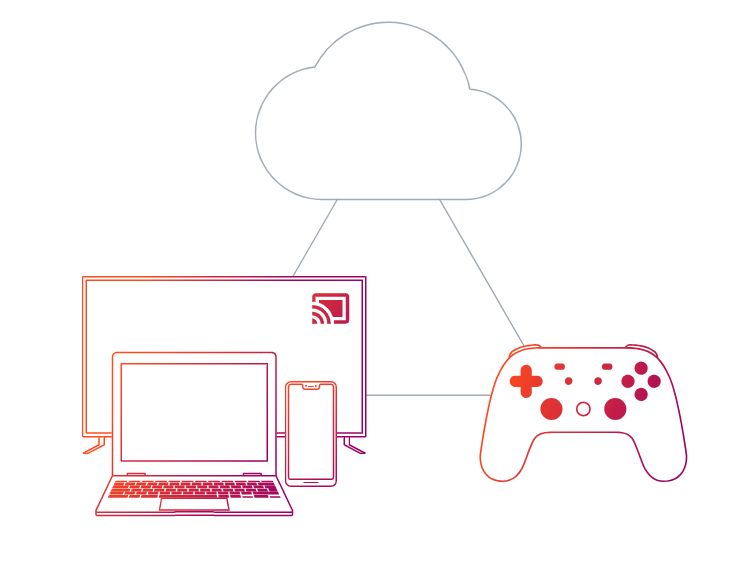 Theoretically, Stadia hosted games could be streamed to tablets, mobiles and headsets directly. This could really up the ante of the quality possible with these experiences. Playware’s own 3DHIve platform will shortly begin its integration with GaaS. Keep an eye on the space for updates. Siddharth Jain is the Creative Director for Playware Studios a Singapore Serious Games Developer. He develops games for Military, Healthcare, Airlines, Corporate and Government training and Mainstream education. He has taught game design in various college programs at NTU, SIM, NUS and IAL in Singapore and is the author and proponent of the Case Method 2.0 GBL pedagogy.